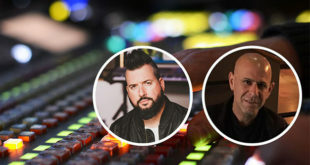 It’s been almost three years since Music Group rocked the industry with the announcement of its purchase of high-end console manufactures Midas and Klark Teknik; a move, which clearly outlined Behringer’s ambitions to tackle the industry head on. 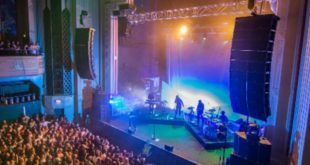 Since then, the Group has bided its time and closely assessed the market in order to ensure that its next investment would send a clear message to the rest of the industry, whilst also providing the ideal counterpart to its famous mixing console brands. So, what does such an acquisition mean to a brand like Turbosound? “Make no mistake, this is a massive opportunity for our brand, our company, and our clients, and it signals the intent that the Music Group has for the professional market,” explains Blackwood. “As part of the Music Group we intend to be a major force in the loudspeaker market, and now we have a massive resource base to make our ambitions reality. He is also hugely excited by the prospect of the company’s potential to lead the market, with the Group’s investment in Midas and KT providing adequate proof of its capabilities. “Uli Behringer invested a lot of money in KT and Midas, which enabled them to go forward and lead the market, and he has plans to do the same for Turbosound. Music Group is an absolute powerhouse and already a force to be reckoned with in our industry. We can see that Uli has a clear vision – he’s resourced it and he leads it relentlessly. We’ll benefit in almost all areas of our business as we’ll have the resource base to step up to a new benchmark in performance, and we’re up for it. 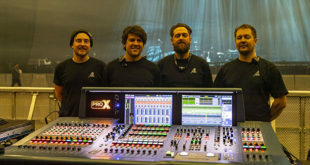 Turbosound aside, Blackwood also sees the continued expansion of the Group as something that will ultimately benefit the pro audio industry as a whole. He comments: “We’re excited by this expansion, and the industry will only benefit from the new challenges we’ll present to our competitors, as we believe competition can only be a positive thing.